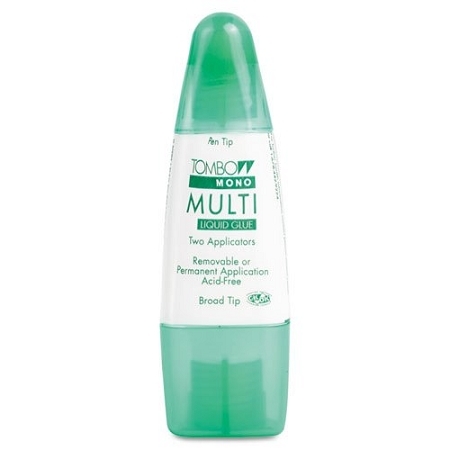 Dual applicators in one ergonomic dispenser. Pen tip for small areas or fine line of glue and broad tip for large areas. Bonds two ways: permanent by applying while glue is still wet; removable by letting glue dry before positioning. Safe for use with photos, cardstock, fibers, buttons, etc. Acid-Free and non-toxic.